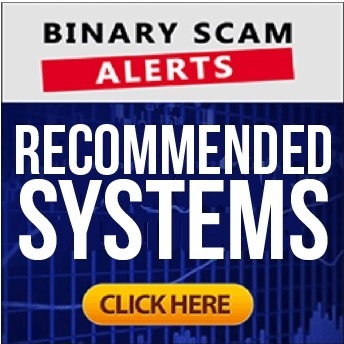 Here’s a quick heads up before you decide to invest using Sarahs Confessions binary options automated trading tool. Just so you know, it’s a total scam and I will show you in this review how I was able to pick up on it so you can stay informed and do the same thing next time. First of all this system is being offered free of charge, but here’s the catch. You would need to fund a broker account to use the software. Now if you contact them and tell the service staff you already have a trading account and just want the software, they will just tell you to open an account with another one or most likely will disregard your request and move on to easier pickings. Secondly, they are showing you results from the trading dashboard but that doesn’t mean anything at all, the only thing that matters is the trading history inside the broker software and unless they show you the real results you can rest assure the performance is pretty much a catastrophe. Moving forward, you can see that in the step two section of the software you have some really stupid logos that besides from being un-clickable they are also useless because they don’t really say anything. It’s just a filler for space that needs some kind of graphic design and content. Now here’s the main thing, the presenter of this system who is an actress and really a nobody is talking about someone called Jason Strauss who found a way to capitalize on 4 billion dollars that are “clogged” in the financial system. I mean how low can you go? This is the lowest level of scam and a cheap hoax designed to get people to deposit with a broker using the mysterious SLX System. After you enter your email in the first page you are shown a registration form. This is a broker registration, and viewers registering for this service are not aware of it. So don’t be surprised if some broker calls you up and starts nagging about depositing or funding your trading account. There are “as seen” logos in the second page, where you can see CNN and the New York Times. If you try searching for Sarah’s Confession in any one of those I can pretty much guarantee you that you will find nothing. The whole scam revolves around some made up story about four billion dollars in the financial systems that are hidden or untapped. That’s a bunch of bologna and and while there are things like this in real life this has got nothing to do with exotic options. There is no Mr. X, it’s a complete fabrication and very daft as well. Things don’t work like that in real life and you should not accept these awful lies. Here’s the final piece of proof you will ever need and let’s hammer the final nail in the coffin of this ludicrous scam. I know nobody like to check the terms and conditions, but these guys have actually added a terms section, but were so careless that they copied it from another fraud called the million dollar invite who in turn copied it from the binary matrix pro. Sarahs Confession is a complete scam and fabrication of the truth. There is a review site called itdecs, unlike professionals like Michael Freeman or Chris Morton these guys are unscrupulous affiliate marketers and get a commission for referring people through their website. I urge you to contact me, speak your mind and tell them what you think, and don’t forget to check out our recommended signals and automated trading reviews if you are actually interested in something you can actually profit with.